Crikey, it’s been ages since I’ve done an update on the adventures of Hicks and Goulbourn, that’s because we’ve been very busy and then there was Christmas … so here’s a look back at what we’ve done since Autumn 2014. 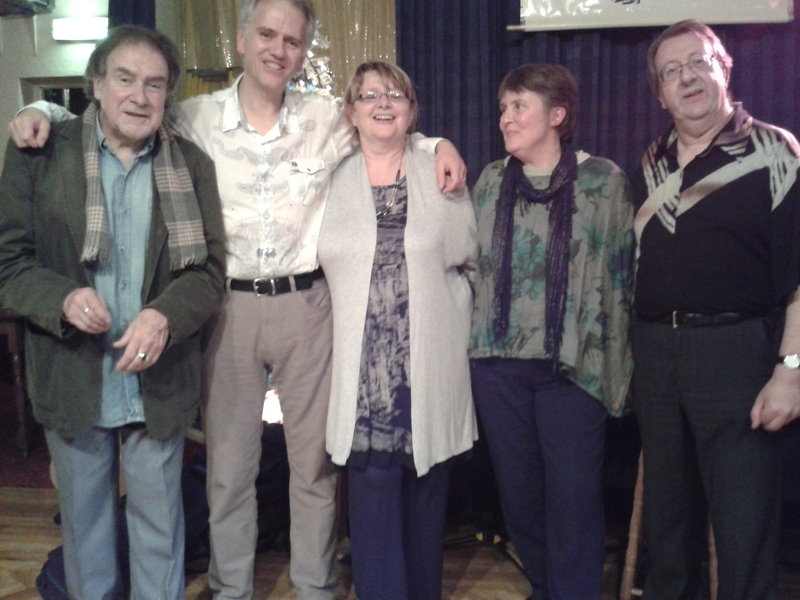 Early September started with a long drive down to Dorset where we played at the festival folk club in Swanage. There was a really good buzz about the site and loads of great acts to see, in addition to lots and LOTS of Morris dancers getting up to all sorts of frivolity. The weather was beautiful and we decided to head for the nearby beach to sit and strum by the sea. 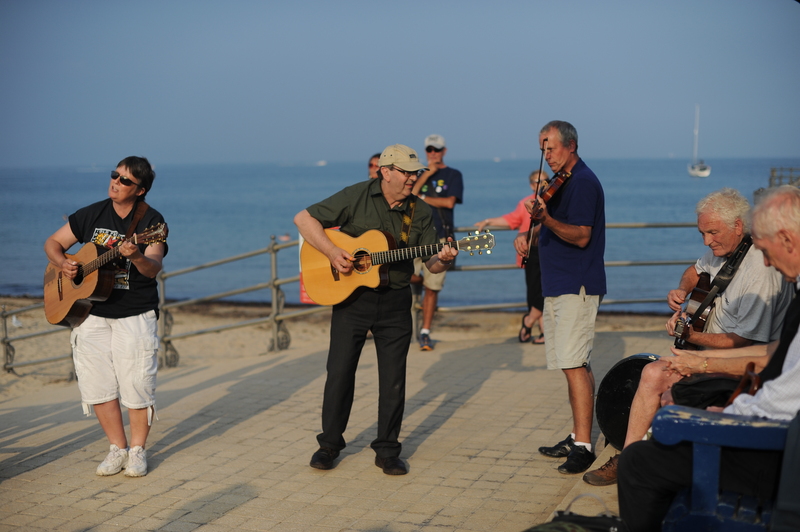 However, Steve and I got involved in the tail end of a busking session on the promenade which lasted for two and a half hours ….. then we returned the next day for more of the same. A lovely friendly festival in a great location. We’re playing in the main festival there on the 12th and 13th of September 2015 and very much looking forward to it already! Late September saw us heading to my native North East for four gigs. 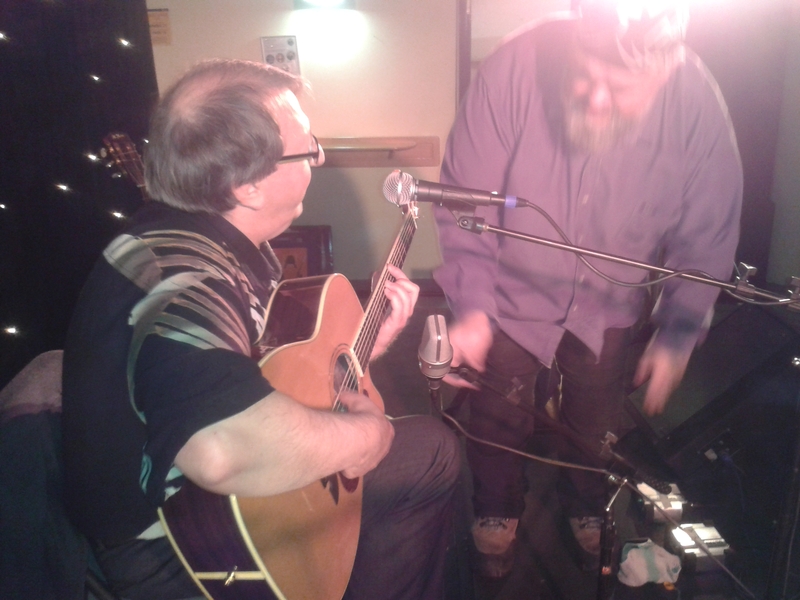 This was our first time at Rothbury Roots and there was a small but very appreciative audience which included a surprise visit from two friends from Leicesetershire, Pete Burham and Paul Tebbutt, (although Pete has now seen the light and returned to live in his native North East). Many thanks to organiser Andy Craig who runs this great venue and looked after us really well on the night. 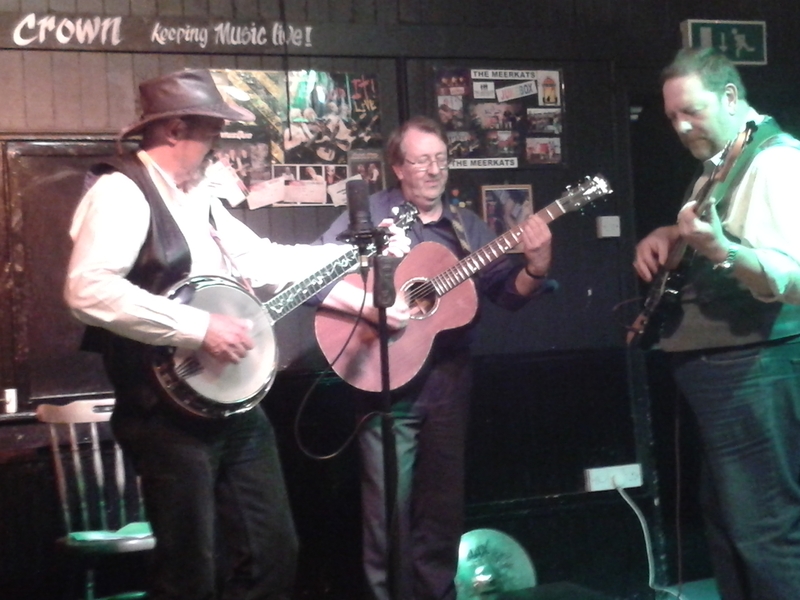 Our final gig in the North East was at Beamish Mary Folk and Acoustic Nights, in a place called No Place which is near Chester–le-Street. I had been there on a singers’ night but this was our first booking there. Jack Burness, bless him, runs a tight ship in this quirky venue, which also sells great food, although I didn’t go for the special of the day which was fresh hare and black pudding … (which may or may not have had something to do with the resident lurcher), ….hmmm. 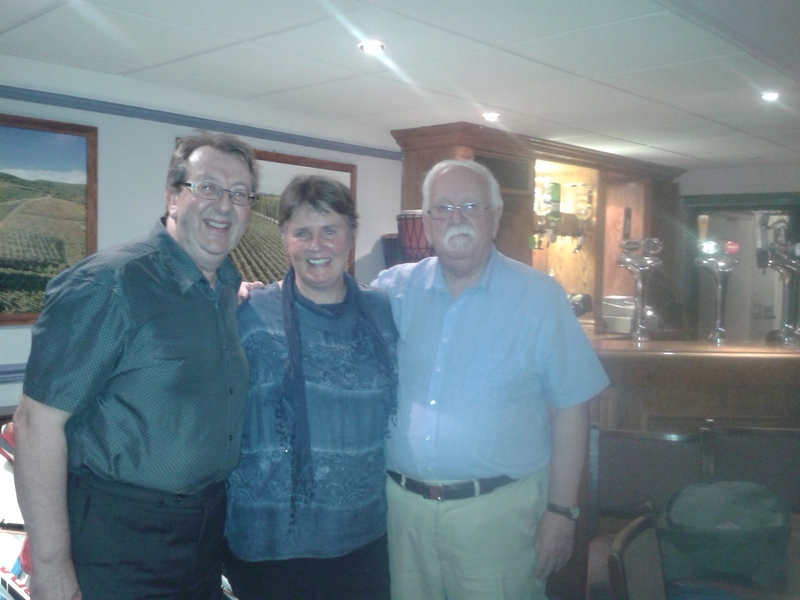 We were very honoured that Eddie Walker and Flossie Malavialle came especially to see us on the night. 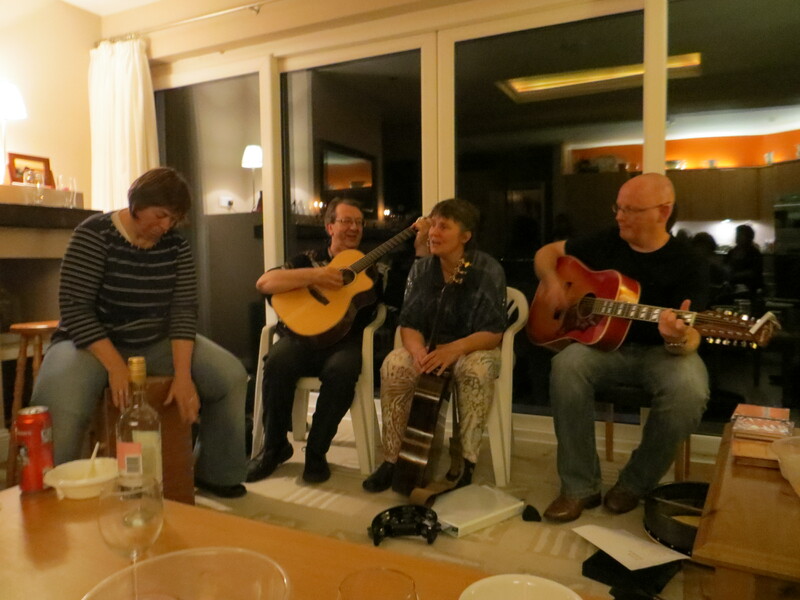 Another first for us was Loughton Folk Club at the end of October. We were greeted by several people that we’d met previously at other clubs in Essex and the floor spots were very entertaining. Many thanks to all involved in the organisation of the club. November was a very busy month for us starting with a trip to Faldingworth in Lincolnshire where we had the pleasure of supporting Megson. There was a terrific crowd there and we thoroughly enjoyed playing and catching up with a number of friends in this comfortable and very well run concert venue in the village hall. The Acoustic Avalon guitar show is held at Leicester Racecourse – pretty much ‘home turf’ for us, if you’ll excuse the pun. Steve had been invited to play some Yairi guitars in the Saturday afternoon concert and he asked me to join him for a few numbers. This was a great experience, not least because one of my lifetime dreams came true in that ace sound engineer Neil Segrott was at the helm for our performance. Great bloke he is. Next stop, another first, this time at Bedworth Folk Club. Malc and Gil do a great job organising and setting up all the gear for the evening, which is held in the bottom end of the pub. Suprisingly, this worked very well with no distraction from the other end. 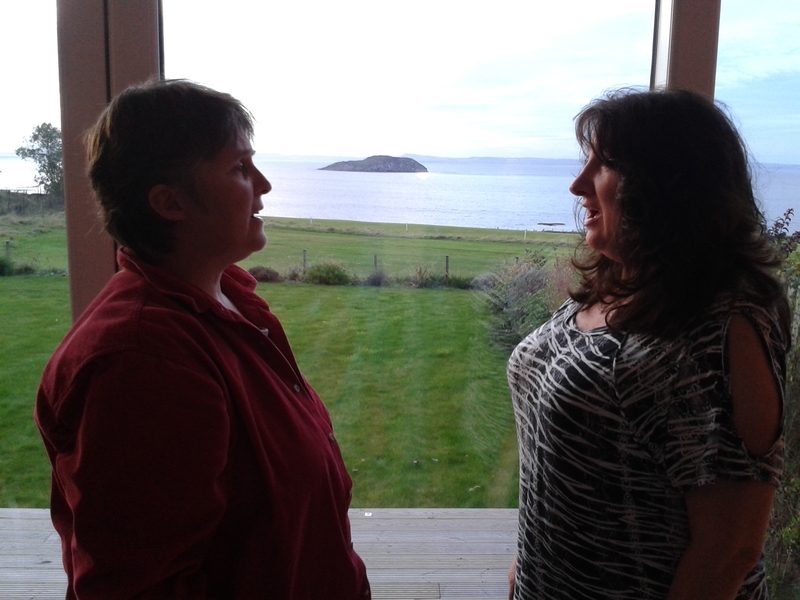 Had a smashing evening there and Maria Barham came to see us which was a lovely surprise. 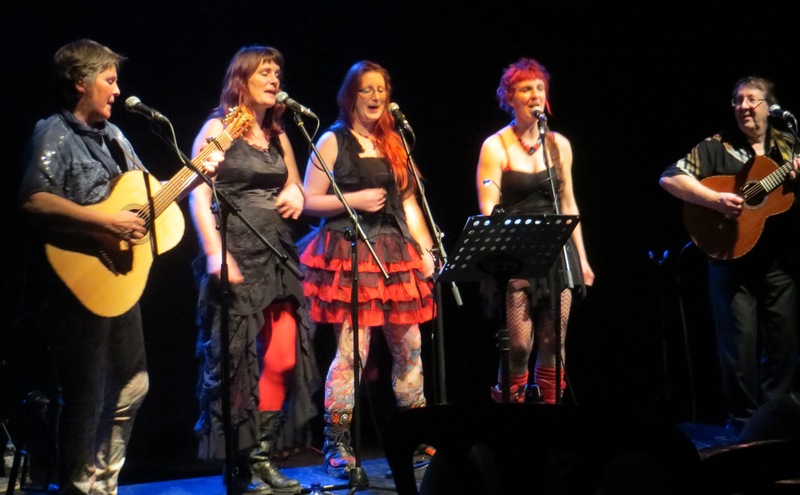 Our next gig was at Bury Met and we had asked our friends, the eccentric and talented female trio Red Ruff to do support for us. 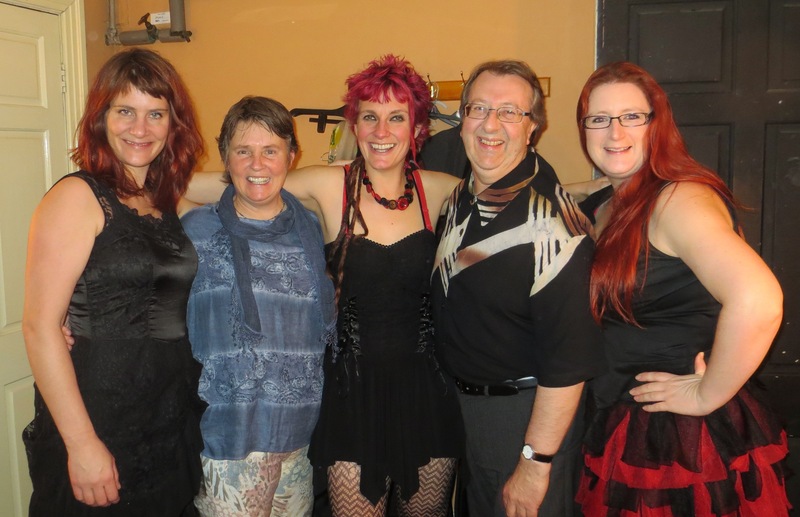 The bijoux audience came from far and wide and the sound engineer was excellent. Many thanks to Ken and Sue for organising the event. The legendary Bothy Folk Club is one that I have known about for years but never visited until one Sunday last November. The floor spots were very good and we felt really welcomed at the club. Our friends Chris and Siobhan gave us great hospitality and Chris joined us playing fiddle on a couple of numbers during our set. Many thanks to Clive and all the team who contributed to making the evening such a success. Down to Folk at the Prospect, Runcorn for the last of our North West gigs and a goodly number of people turned out to support us there. Didn’t know anybody except from the first time we dropped in for a singers’ night, but by the end of the evening we felt we had made lots of new friends. 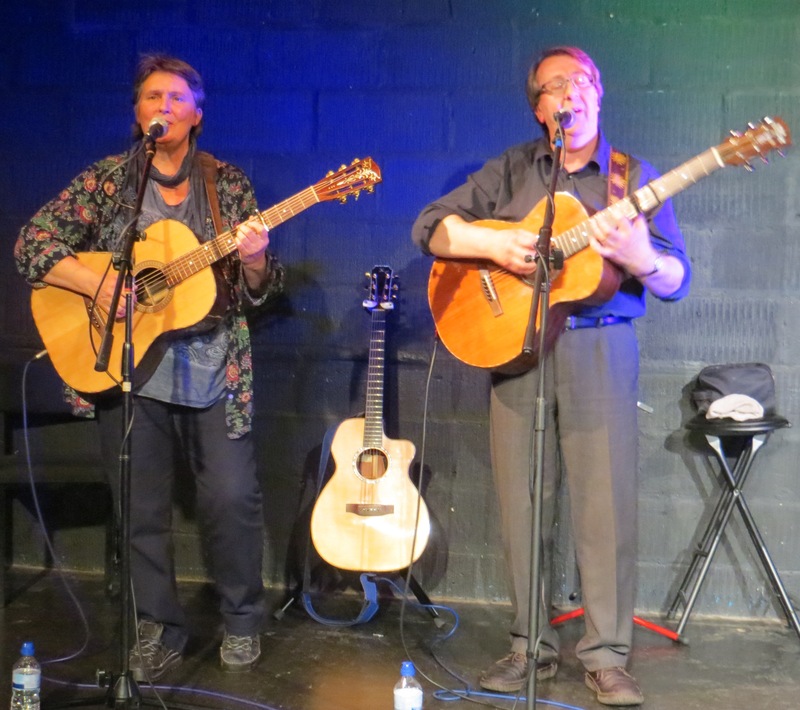 Back in the East Midlands we returned to the Second Time Around Folk Club in Beeston and played to a capacity audience. It sold out almost a week before the event and a couple of my friends only just managed to get in at the last minute due to some cancellations. Great atmosphere. Many thanks John. 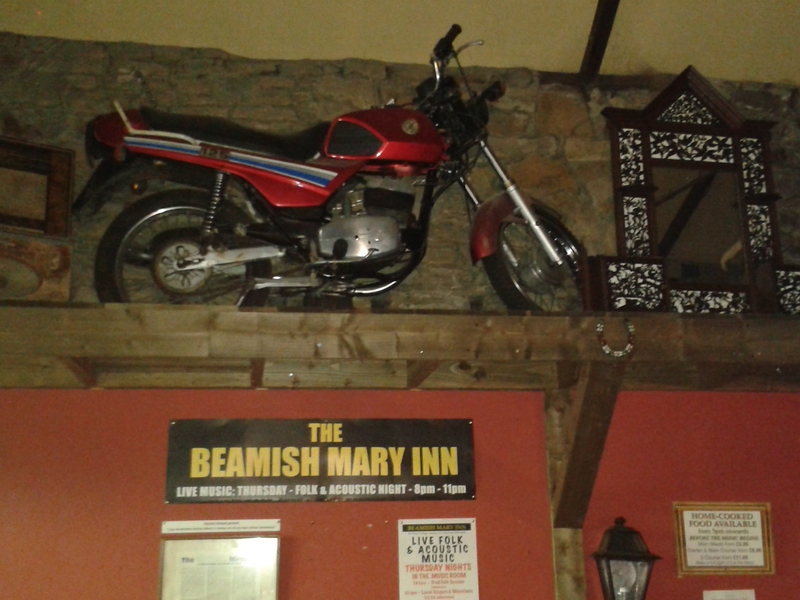 Yet another quirky venue is the room at the back of The Crown in Heather, Leicestershire. Here Guy Rogers runs ‘Guy’s Acoustic Picking Session’. The room is decorated with all sorts of Western and 60’s memorabilia with wooden clad walls and a stage at one end. This was a fun place to play. 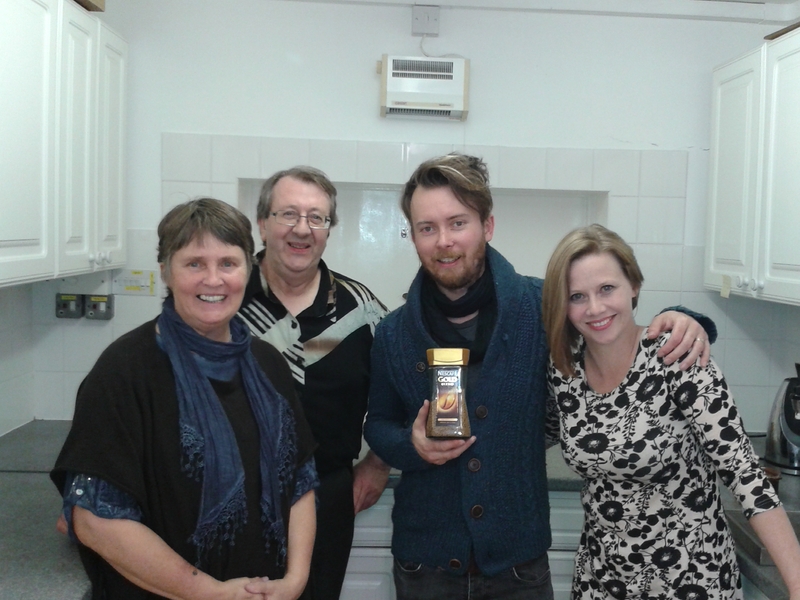 Debbie and Nic Morse organised a fundraiser for the theatre funds at the Little Theatre in Leicester on Sunday 30th November. I don’t know how she pulled it together but Debbie managed to get a whole host of local musicians to play on the day and the event was well supported. I did enjoy playing in the studio where the main concerts were held and Hicks and Goulbourn were the final act of this very successful day. Great fun, as usual was had at another of our local, fairly regular haunts, The Criterion in Leicester, and thus ended a great year of gigs for Hicks and Goulbourn. Many thanks to all who have organised clubs and events and to all who have come to see us. Steve and I are very grateful for your continued efforts and support. 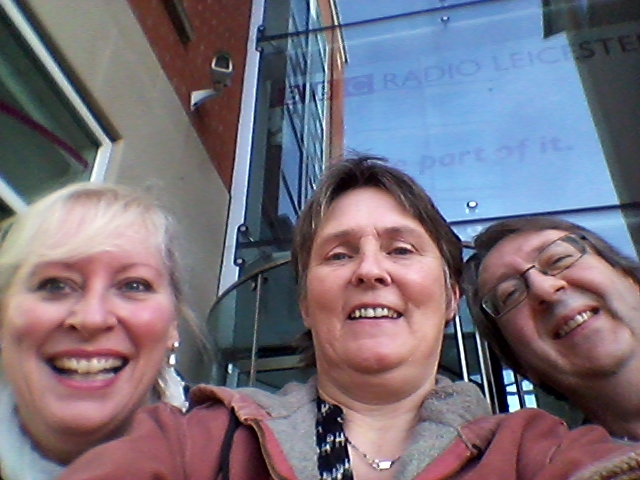 This entry was posted in Uncategorized and tagged Acoustic Avalon Guitar Show, Beamish Mary Folk and Acoustic Nights, Bedworth Folk Club, Bedworth Folk Festival, Bothy Folk Club, Bury Met, Cramlington Folk Club, Faldingworth Live, Guy's Acoustic Picking Session, Loughton Folk Club, Madelaine Cave, Maria Barham, Megson, Rothbury Roots, Sheehans Music Leicester, Swanage Folk Festival, The Criterion Pub Leicester, The Little Theatre Leicester by admin. Bookmark the permalink.